Tierra Del Sol is centrally located with a pool, hot tub, outdoor grills, and clubhouse for social functions. 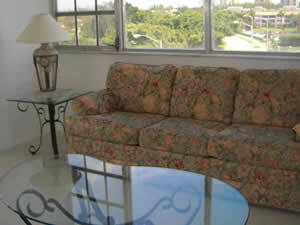 This condo is a penthouse corner unit with lots of windows and a fantastic view. 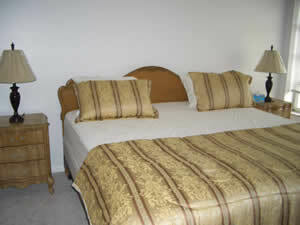 It is newly remodeled with a new kitchen, appliances, mattresses, and furniture. 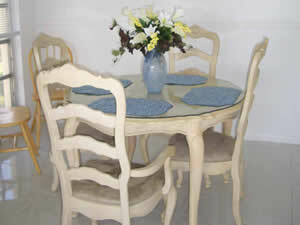 This can be your ideal vacation in an ideal Florida location. 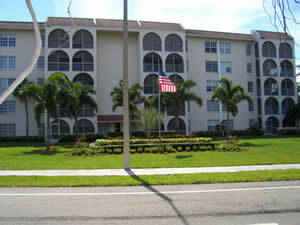 Centrally located within five minutes to downtown shopping and beach. One person must be 55 years or older to rent this condo. This is a non-smoking condo. Stays longer than 4 months are welcomed, dates are flexible. Other Information about the sleeping facilities: New carpeting, new mattress and boxspring in both rooms. Other Information about the kitchen/dining facilities: New kitchen with oak cabinets and granite countertop. Outside parking next to unit. Guest parking available. Other activities/entertainment: There are organized activities at the clubhouse..
$1500 a month, 4 months minimum. $1000 deposit with balance upon arrival.